"I think the honest answer is that I loved the fantasies and I loved the revolutionary illusions. I truly loved them…. I was one of those who was way out on the far left edge of accommodating to modernity. And I don’t know how but the Holy Spirit found me." 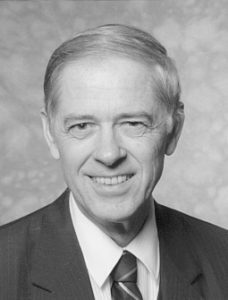 Thomas C. Oden, one of the most gracious and respected theologians of our times, died yesterday at age 85. Professor Oden made the pilgrimage from theological liberalism, and what he acknowledged as an infatuation with heresy, all the way to the orthodox affirmation of biblical Christianity. His story is one of the greatest theological testimonies of our age. The following is an edited transcript of my conversation for “Thinking in Public” with Dr. Oden about his life and times and the trajectory of his theological pilgrimage. The conversation, “The Remaking of a Modern Mind,” was released on March 16, 2015. I am thankful to God for the life and testimony of Professor Thomas C. Oden. Thomas Oden lived one of the most interesting lives of the 20th century and into the 21st. He was the General Editor of the Ancient Christian Commentary on Christian and the Ancient Christian Doctrine series. He was also the director of the Center for Early African Christianity at Eastern University in Pennsylvania. For many years he was professor of theology at the graduate school of Drew University. 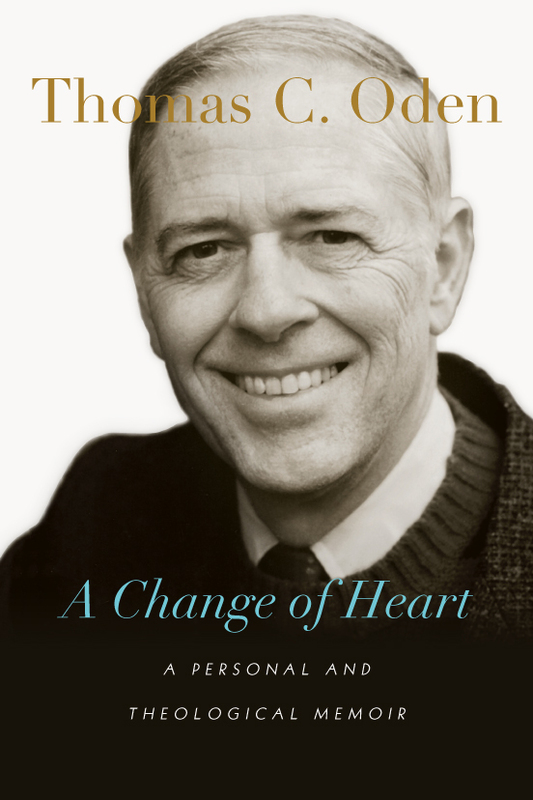 His book A Change of Heart: A Personal and Theological Memoir is one of the most moving Christian autobiographies I have ever read. Mohler: Dr. Oden, when you wrote your book A Change of Heart: A Personal and Theological Memoir, you told a story that only you could tell. And that’s not just in terms of the fact that the particulars of your life are unique to yourself, but rather the theological trajectory you trace is one that was only possible in the 20th century. How did you come to decide this was the way to tell your story? Oden: I didn’t want to tell my story, I was asked by quite a few people to open a window into all of this. I really didn’t want to. I didn’t think I could write narrative, I just wasn’t prepared to do it. But now that I have worked through it and done it, I’m very pleased to have it out there. How did I decide to, or how do I understand my story in relationship to God’s story with us is the way I would put the issue. I think personal autobiography is rather unimportant in relation to the story of God with humanity, and especially his revelation of Jesus Christ. So I don’t have any pretenses about my story being my story being important, it’s just exactly what happened to me. I felt that I had, when I finally committed myself to doing this, I had to tell it exactly like it was. So that was the challenge for me. There’s a sense in which, you know, I’ve lived through the last 80 years, or 80 plus years, and so to tell the story is a little bit complicated. Mohler: Absolutely. And, you know, you are a library unto yourself, just in terms of your books. You speak of a period of “left turns” in your life, starting when you graduated from college. Can you explain how that happened to a young man who was raised in a traditional protestant home and a wonderful family context of a loving family, how did you end up turning left by reflex so early in life? Oden: I think the honest answer is that I loved the fantasies and I loved the revolutionary illusions. I truly loved them, I loved heresy, Al. And why did I love heresy after I had been, you know, nurtured in faith in the incarnate Lord, and the risen Lord? From the day I set foot in the University, which was 1949, that’s the University of Oklahoma, I was interested in exploring things that I didn’t know. So I got quickly, very deeply into Marx. And I had friends that were very much involved in what you would call socialist ideology and I became very much involved in that. Mohler: When you write your story about all these left turns, one of those left turns takes you beyond your college and seminary experience to Yale University where you did doctoral work. And you eventually settled on a dissertation having to do with Rudolph Bultmann. So as you think about the theological trajectories of the 20th centuries, in one sense your very doctoral dissertation placed you among the hyper-modernists there at the beginning of the 20th century. Oden: Yes, I was, I would call it, moderately Bultmannian. I wasn’t on the left wing of the Bultmannian school as my colleague Schubert Ogden, I believe, was. But I learned a lot from Bultmann and after having cast away the New Testament as being pretty much irrelevant to what I was trying to do at that time, which was political action, Bultmann really did bring me back into taking the text seriously. Of course he didn’t take me far enough into the text to recognize that the resurrection was the basis for the Church’s memory of what happened in Jesus of Nazareth. The resurrection turned everything upside down and I don’t think that Bultmann ever, nor did Tillich, ever really confess the resurrection in the way I came to confess it as an event in history. And that came to me on the basis of, really, historical reasoning about the evidences of the resurrection. Mohler: You wrote: “I was able to confess the Apostle’s Creed, but only with only deep ambiguity. But I stumbled over ‘he arose from the dead.’ I had to demythologize it and could say it only symbolically. I could not inwardly confess the resurrection as a factual historical event. I was assigned the task of teaching theology, but when I came to the resurrection, I honestly had to say at that stage, that it was not about an actual event of the actual resurrection but a community’s memory of an unexplained event.” That’s an incredible statement, Dr. Oden. Oden: It’s absolutely true and it came out of my theological mentors, Al. I was simply reflecting the ethos of the time when Existentialist theology, especially Bultmann and Tillich, were the fad. They were the main point of reference for anybody in ministry in the United Methodist Church at that time. And I think even the leftward turns that I took early in my life were an evidence of me trying to be faithful to my church, its leadership, especially its national youth leadership and the Methodist student movement at that time. You may remember the magazine Motive? Well that was my history. I mean, that magazine had a very important impact upon me as it did upon Hillary Clinton, Hillary Rodham at that time. And I think that it took me a long time to find my way back to a recognition that the beginning of Christian conversion is the incarnation and the resurrection—God’s coming in the flesh and God’s truly rising to forgive our sins and take our place. Mohler: In your book, speaking of your role as a theology professor in a theological seminary, you describe a pattern that in my own denomination, was spoken of as double-speak, in kind of an Orwellian sense. One veteran professor said that the use of double-speak is what he had been taught by other professors in the seminary — to speak one way to the academy and another way to the church. And in your memoir you write, “in my seminary teaching I appeared to be relatively orthodox, if by that one means using an orthodox vocabulary. I could still speak of God, sin and salvation but always only in demythologized, secularized and worldly-wise terms. God became the liberator, sin became oppression and salvation became human effort.” Then this final sentence: “The trick was to learn to sound Christian while undermining traditional Christianity.” Just how widespread was that pattern? Oden: Unfortunately, Al, I think it was extremely widespread. I think that the confession of the resurrection as an event in history, or the incarnation as an event in history of God becoming flesh, I don’t think that I learned that in seminary. I had to unlearn seminary. I had to go through a long process of searching out myself and the options that were available to me until they became, in the late 60’s, really, just sort of bare and unpromising for me. Oden: Well the key phrase here is “the world sets the agenda.” That was a book that written by a Yale professor in the late 50’s or early 60’s [who argued that] if the world is setting the agenda for the church, the church is always trying to catch up: philosophically, with what is happening in existentialism and scientific inquiry, in terms of psychotherapy — it’s always trying to catch up with whatever is the latest and seemingly, apparently, the best and most productive form of psychotherapy. So we could simply call it “faddism.” I was taught to be very attentive to culture without having a sufficient grounding in the classical Christian confession. And I don’t think that was all that was all that unusual in my church at that time, and unfortunately, it is not all that unusual today. I have remained in my church, I haven’t seen any reason why I should leave my church because of its basic sound doctrines; which is basically Anglican evangelical doctrine. But it took me many, many paths that were blocked paths finally. That really is the heart of roughly the first half of my story. Mohler: Well, in that first half of your story there is one little vignette that I have to ask you to revisit as a Southern Baptist. And that was in the 1960s when, describing yourself, you said you felt like a goldfish in a swarm of piranhas, when you appeared as a self-described ecumenical leader to speak in the 1960s on the campus of Southwestern Baptist Theological Seminary in Fort Worth. Tell us that story. I found a real delight in the reading of that story. Oden: Of course, that was at the height of my fascination with Bonhoeffer and I was asked to be a part of a chapel service. So I preached what I thought was a sermon, but it really was more like a political rally for the at least fragments of what Bonhoeffer was saying about religious Christianity. If you can sort of think of that as the context in which we are having a meeting of ecumenical students. These students came from all over—Texas, Oklahoma, and nearby, this was a southwestern conference. So I went through my talk and then the president of Southwestern Baptist—a wonderful, gentle human being. Do you remember his name, I’m sorry? Oden: Oh, Robert Naylor! What a wonderful man he is, and now, how gracious he was to me. And after I sat down, he came to the podium and he very deftly took almost every point that I had made and just tore it apart. It was not – “tore it apart” is too harsh, because he was never a harsh man. He was a gentle man. But I realized after that, that—it took me several years, I guess—to realize how much he had actually understood what I said and rebuked it. He gave me what I would call a “gentle admonition,” which I think is a great virtue of the pastoral position. Mohler: I have to tell you that when I was elected president at Southern Seminary in 1993, I was just 33, I needed to talk to some people who had run seminaries. I flew out to Fort Worth to meet with Robert Naylor, who was so gracious to receive me. And I think you intersect with that story in ways that I didn’t know until I read your book, because when he was giving me practical advice about being a seminary president, he said “look young man, one of the worst thing you can possibly do is leave a chapel service early.” He said, “you be there so, if necessary, you can have the last word.” And it just may be that you were the reason why he told me that. Mohler: When you and I first met, I was a doctoral student here, and I was an administrator serving on the staff here, and then I was editor of The Christian Index. We spent a delightful conversation in Chicago. I just think of your life story, which you shared so generously here, and I often think “I wish I had read your book when I was 22” because it would have helped me so much. Let me ask you about the most important part of your story, which is not where you were, but how you arrived at your current convictions. And you talk about the turn in your life and you actually trace it, oddly enough, and in a way that I just have to attribute to the providence of God, to the relationship that you had with Will Herberg at Drew—one of the most seminal Jewish thinkers of the 20th century in America. Oden: He really was important to me because when I first met Will, that was when I first arrived at Drew in 1970, he was the leading professor in the graduate school at that time. His graduate school classes were packed and I wanted to really get acquainted with him. So we had a lunch meeting with my wife and Will about every two or three weeks, and so we got very well acquainted quite early. And Will saw right through me. Of course, at that time, he was writing articles for William F. Buckley, Jr. and for conservative magazines at that time. He was not so much a political neo-con, but a philosopher on behalf of Neo-Conservatism. And, you know, I gotta say, I don’t think, before I met Will, I don’t think I ever met anybody that I would call a conservative intellectual. I just didn’t meet anybody like that. I was protected from meeting, by the associations and networks I was in. And, anyway, he was a very gruff and direct person in communication. We were having a lunch at Convent Station, nearby Drew where I was teaching, and he got right in my face, he put his finger up, looked straight into my eyes, and with fury in his eyes, he says: “you will never be a theologian until you dig deep into the classical Christian tradition.” And later I learned that he had done that very same thing because he had been a member of the Communist party. And after the Hitler-Stalin pact in 1939, he had left the Communist Party and then become a conservative Jew. So, his path was probably 30 years before mine, but I really took him seriously, I knew that he was right. Oden: He was exactly right! I had very little idea about classical Christian teaching, I knew a lot about contemporary theology. That’s what I kind of specialized in at Yale. I worked with Barth and Bultmann mostly, and the existentialists. And so what happened to me was a very simple thing—I decided to take his advice. I didn’t have an alternative in my conscience and so I began reading the ancient Christian writers, first of the all the pre-Nicene writers and the formulators of orthodoxy and the ecumenical councils of the early centuries. And I was just intrigued, there was a whole world that I hadn’t known about, and it was a wonderful world and it became my home—it was like coming home. By the end of my second year there at Drew, my colleagues were kind of wondering what had happened to me and I don’t think they ever quite understood what had happened to me. But it was that I became a participant in the great cloud of witnesses. They were there but I didn’t listen to them, I didn’t hear them. And so it was really a process of reading. That sounds very boring to someone who is in the pietistic tradition, but I met the Lord and I met God the Father and God the Son and God the Holy Spirit through reading the ancient Christian writers, it was as simple as that. And that book is still open for anybody who wants to go there. Mohler: Well and you have, in your latter years, helped so many people to get there by your Ancient Christian Commentary and so many other important works of research. But before I get there, I want to go back to where you began reading the early Church Fathers. Other than Augustine and Athanasius whom I quote more than any other of the Fathers, I quote Vincent. And I was so interested once again to see how Vincent of Lerins had been so crucial to your theological self-understanding. I would appreciate it if you talked about that just a bit, because I will tell you that as a doctoral student, I found much the same influence from the very same source. Oden: I think Vincent of Lerins is a remarkable man because he understood, in a clear way that nobody else had up to that point, he understood how consensus was achieved on doctrinal matters in the ecumenical councils. I believe personally that he was in fact attending the Council of Ephesus—but that’s a speculation. But I think there’s some good indicators. In any event, he understood how the Council Fathers arrived at decision-making and it was a matter of allowing the apostolic witness to become consensual through prayer, through Scripture study, and through conversation. And his formula, of course, as you know, is that if a dogmatic statement is not found everywhere in the whole range of the universal church, it cannot be ecumenical. If it is not personally received, it cannot be ecumenical. And it must have a continuous tradition of being remembered as received. But received what, received memory of the apostolic tradition. In other words, these ancient Christian writers were not just speculating out of nowhere, they had memorized so much of the Scripture, it’s amazing! And they learned, they studied deeply the Scripture. That’s a point that often Protestants don’t quite credit sufficiently. I think I read Vincent before I read the fourteenth volume of the Nicene/Post-Nicene Fathers. And that really changed my mind. I mean, I realized how the Church fought, how the Church arrived at its dogmatic decisions, and then what happened to me, Al, is that I began gradually to trust the Holy Spirit. This is not something that happened without the Holy Spirit. It’s the Holy Spirit guiding the church towards the unity of the body of Christ and guiding the Church towards the consensual memories of the apostles. I truly believe that despite differences among New Testament scholars, I think the apostles were essentially one in voice as we see for example in the Council of Jerusalem. There were not different Christianities as Bart Ehrman says, there was one Christianity from the very beginning and then it had to face and it had to fend off all kinds of Gnostic and Arian and other kinds of heresies. Once I got through that period of recognizing ecumenical consensus is the way I would put it, it just was a breeze! It made theology so much easier for me. Well, you know the dream that I report of having a dream about my tombstone, which delightfully said “he made no new contribution to theology.” Now I took that dream as kind of a wonderful, ironic discovery about myself because I discovered that I didn’t have to create a new theology—which I had been taught all my theological life, that that’s what my life would be about, creating a new theology. It’s almost amusing to think about it now, but that’s what happened to me. Mohler: In my own doctoral studies I began to understand that there were two trajectories from the very earliest post-apostolic era. There was a trajectory of orthodoxy and a trajectory of heresy. And you could basically trace these trajectories and so in my own way, I re-fought the battle of Nicaea right down to the creed. I went through every major theological controversy—Augustine versus Pelagius and then right through the Reformation and the present. You write about how easy it became once you understood the basic trajectory of orthodoxy. And I think there are many evangelicals who are actually tremendously vulnerable simply because they don’t know that these two streams are both very old. You mentioned Bart Ehrman — they think this is something new. This is not new at all. Heresy is never new. You refer to a phrase you say is not only ironic, but perhaps even a bit intentionally comic—that’s the phrase “Paleo-Orthodoxy.” How did you come to that? I had to fight off were people that just couldn’t believe that I was really focused on a critique on modernity. And I honestly believe that the key figures in modern consciousness, and you know what they are in my view, they are Frued, Marx, Nietze and Darwin. These are the key figures that everything else in modernity comes out of. So if those key figures are basically off-base, then the whole trajectory is off-base. And I had followed all four of those figures very deeply. And I had to find myself beyond them. 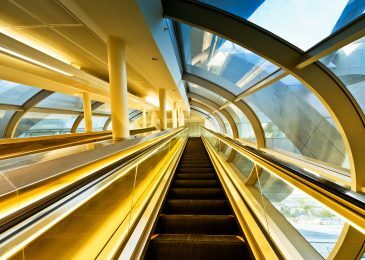 But when I speak of modernity, I mean something that I think is not completely dead, but morose in its intellectual foundation, and I think we see this for example in Darwinism and the Intelligent Design premise that I think is becoming more and more plausible for more and more serious scientists. Mohler: I’d like to ask you about just a couple of issues that arise in your book because there were clearly some catalysts that helped to crystallize some of these issues for you. One of them was the issue of abortion. Oden: Oh yeah. Well, this was connected with the time of the 1973 decision on Roe vs. Wade, I believe it was ’73. For the previous ten years before I had been actually active politically for a liberal abortion policy. Well, here’s what happened at that time, Al. I was teaching young seminarians that what they needed to do in their pastoral care of women who were seeking abortion was just empathize with them and not express any judgment about the value of life. Now, at a certain point, I came to a simple ethical revulsion. The revulsion was against the pro-abortion premise that life can be taken arbitrarily and on the basis of convenience. I think that was a moment in my consciousness, and once I passed through that moment, I never changed, I’ve been very pro-life ever since. And all the work I did at a certain time on treatment termination, you know, shows that. And I just think, to put it quite simply, the value of life cannot be compared with any other finite value because life is the pre-condition of thinking about value. And once I got through that, I feel like my political life change significantly, because, from then on my political life was a politics of repentance. In other words, I had spent a couple of decades doing things politically that I later came to regret. I came to regret the idealization of not just socialism, but the idealization of a society where the planners control everything and they don’t have a critique of their own planning process. That to me is just another example of original sin. One of the deepest, strongest political aspects of wisdom in the classical Christian teaching is the persistence of sin—the fact that we are given life in its fullness by God, but we always find some way of fouling it up. Mohler: Well, Amen. And that is what makes the gospel such good news. I want to ask you, Dr. Oden, as someone who has spent your entire life in the Methodist Church, I just want to ask you how do you see the mainline now? These mainline more liberal denominations — where do you think they are headed now in the early decades of the 21stcentury? Oden: Okay, simple enough. I think the mainline is now the sideline. The old ecumenical movement from Geneva [headquarters of the World Council of Churches] is now defunct. It can’t raise any money, it doesn’t have any church support. This is also true of the liberal United Methodist Church. The conferences and the jurisdictions that are the most liberal are the ones that are having the most trouble. So I feel very hopeful about the United Methodist. On one simple point, doesn’t ignore all of the other deficits, but on the question of one man and one woman committing themselves in covenant fidelity for life and being responsible for their children. To me that is just so foundational that I think the United Methodist discipline has remained the same on that point. The phrase is “homosexuality is contrary to the will of God” or inconsistent with Christian teaching. 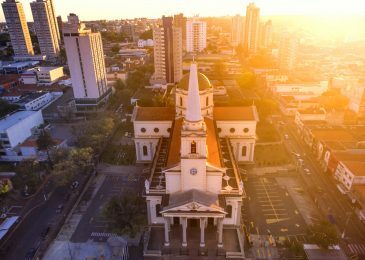 Now, I think that the Methodists have held fast to that point where it has folded in the Presbyterian Church -– in the Lutheran Church, it is far more cloudy. And for that, and I think that there’s another aspect here — the voices of African bishops and African laity have been decisive in Methodist polity in the last twelve years or so — the last three general conferences — because the voices of Africans have been so clear on this [and] on all points of sexual ethics. And I think that some of the people that I’ve been deeply connected with – the Confessing Movement and the Institute for Religion and Democracy and the Good News Movement – these people have fought long and hard within the Methodist political system, I would say, to prevent that from happening. And I regard it as a kind of badge of honor that we have not fallen. And I don’t think we’re going to fall. We’ve got a basic decision before us in the next general conference as to whether we’re going to be a world church or a North American church. Mohler: But that really is the wonderful irony of all this, because it was the decision to include in the United Methodist Church the churches from elsewhere in the world – that at least in terms of numbers is what has kept the church from joining the headlong rush to redefine marriage and sexual standards as found in Scripture. So there’s an incredible irony where we see a church in some ways rescued by Africa here in North America. Mohler: Writing of the 1970’s, when you were experiencing this great turn towards Christian orthodoxy, and looking back at what you had written you wrote, “The twelve books I wrote in the 1960’s were not all wrong, but flawed by the fervent desire to accommodate to modern worldviews.” You wrote: “By 1970, I could see the tremendous harm caused by some of the follies I had promoted. I do not repudiate them overall, but now see the shortcomings of their hidden assumptions that were common to that time.” It’s incredible that the Lord has allowed you to live long enough to look back that far and write that sentence. Oden: Well, it’s absolutely true. I was one of those who was probably way out on the far left edge of accommodating to modernity. And I don’t know how but the Holy Spirit found me – I guess through – oddly enough, my Jewish colleague. Which is one of the ironies of my history, that I became a Christian through the testimony of a Jew to the Jewish tradition and his depth knowledge of rabbinic and midrashic writings that I followed his path that led me to the writings that changed my life. I did have a change of heart. Mohler: But there’s a graciousness about you, a joy that – of course I’ve only known you in the second half of this story, but the joy is just tangible. As you are now in your ninth decade of life, having written this story and shared it with your brothers and sisters in Christ, what is your great joy in this season of your life? Oden: It’s really the joy of reflecting on the providence of God. My story – put it this way – I don’t think I could have had a credible critique of modernity – I couldn’t have had a credible critique of Marxism and Freudianism and Nietzsche and Darwin without going through it. The providence of God allowed me to be a prodigal, if you will, and by that I learned to rejoice just as did the prodigal in coming home to the Father. Mohler: That is so kindly and graciously said. And I just want to ask you as a final word: if you were to speak to me (as you are now) and if you were to speak to a generation of evangelical Christians coming behind, what would be your word? What would you want us to hear from you and we look to the challenge of faithfulness in the future? Oden: Trust that the Holy Spirit is creating unity of the body of Christ. It is the Holy Spirit that is at work to bring us – you know Baptists and Methodists for example. There’s a Baptist church and a Methodist church in my home town. They were very different. But you and I represent a new time. And it has been a work of the Spirit that we have come to the point of grounding ourselves anew in the apostolic tradition and in the earliest concentral Christian interpreters of it. I think that is – to any young person I would say, just don’t fail to at least make an attempt to listen to these voices. They are so valuable, so wise, and so profound. Mohler: Dr. Oden, I’m so thankful for you. So thankful for this time together. I pray for you, and for your health and continued vitality. You’re a great gift to the church and I want you to know I mean that first of all, very personally. Oden: Thank you so much, Al. And I value what you’ve done as a strong leader, as an intelligent apologist. You’ve been out there on the front on a lot of tough issues and I value that very much. Mohler: Well, I say goodbye only in the sense in that I hope it is not long until I hear your voice again. God bless you, Dr. Oden. See “The Remaking of a Modern Mind: A Conversation with Thomas Oden,” Thinking in Public, March 16, 2015. A full transcript is available, along with the audio of the conversation.